At Quince & Co all of our wool yarns are 100% grown, processed, spun, dyed, twisted, and labeled here in the USA. Our yarns are springy, they’re soft, and you’ll love knitting with them. For summer knitting check out our organic linen and cleaner cotton yarns and designs for them. www.quinceandco.com. Knitcircus celebrates fun, a passion for knitting, and the delight of beautiful yarn. Have you seen our Alice in Wonderland Collection with gradients such as Curiouser and Curiouser, Drink Me, and Off with Their Heads? Add in a set of Mad Hatter Stitch Markers while you’re at it. 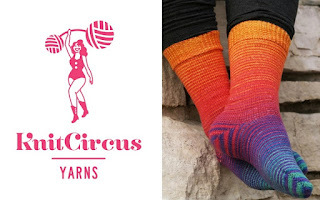 Find us at www.knitcircus.com. There is a new iTunes Review this week by Bedesisters. Thank you so much. 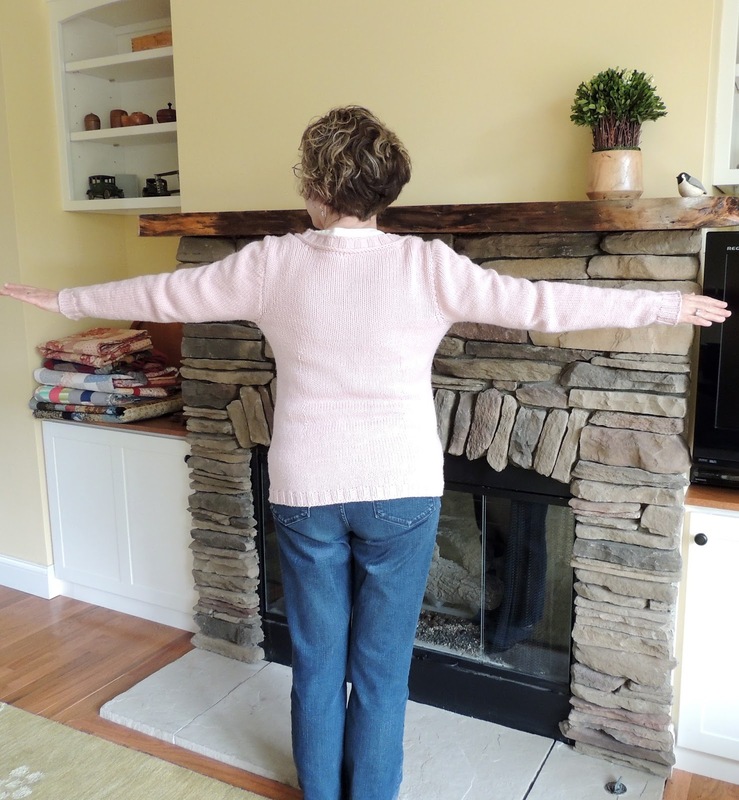 Knitting Pipeline Maine and Cornerstone Retreats will be opening up as soon as I can manage. 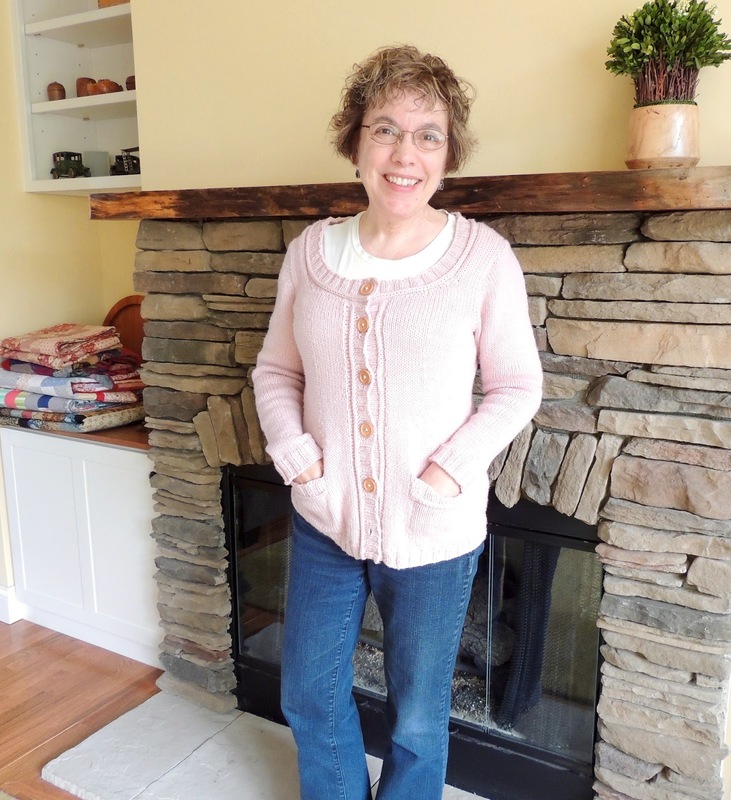 Subscribe to the show or the blog or the groups on Ravelry for information. Thanks! C.C. and Dami Almon (Geeky Girls Knit) and I (KnitRunDig) are hosting our second retreat in the UK - Geeky Puffin Knit Palooza. It will be from 10-13 November 2016 in Farnham, Surrey. We have some amazing teachers including Rachel Brown of Porpoise Fur, Joeli of Joeli Creates, Louise Tillbrook of Louise Tillbrook Designs and Tara Swiger of Taraswiger.com. We also have some fantastic vendors signed up. Today, April 26, is the day our woods filled in to the point that we cannot see to the other side of the ridge. We are always excited and surprised how quickly this happens. Last week when I talked to you there was barely any green on the trees and already, a week later, it is so different. Today I had a first. About 10 AM I saw a blue bird outside and my initial reaction was that it was an Indigo Bunting which we see quite frequently. Upon closer observation I saw that the bird was larger (though skinnier), had a different beak, and also had rust colored wings. It was a Blue Grosbeak! I’ve never seen one before as they are unusual here but it was unmistakable. I had been trying to identify a bird song deep in the woods the past couple of days and I thought I might have solved that riddle but it wasn’t. The distribution map on the Cornell site shows that we are way north of the summer breeding territory. Sunday I was sitting out on the deck and I observing some courtship behavior of the Black Capped Chickadee. Guide to Bird Behavior by Don and Lillian Stokes. We’ve just celebrated another Earth Day. Take Pride in Washington. This is a selfie my husband took with his long arm. Selfie taken with my husband's extra long arms. Quince & Co Lark Color: Dogwood. I used 9 skeins. 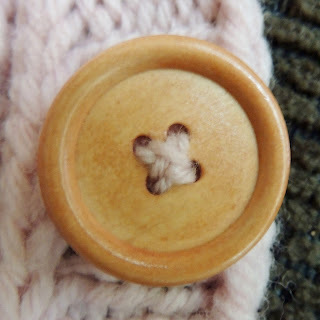 Button Sewing Tutorial is here. Rowing out is the term knitters sometimes use to describe when a row of knit or purl is unequal in size to its counterpart. Quince’s How To Knit Kit isnow available. The kit contains everything needed for one's first foray into knitting! Packaged in a lovely wooden presentation box, the kit includes a copy of Knit: First Stitch/First Scarf, 2 skeins of our Aran weight Osprey yarn (in choice of 5 colors), a pair of straight wooden knitting needles in size US 10 (6 mm), and a tapestry needle. 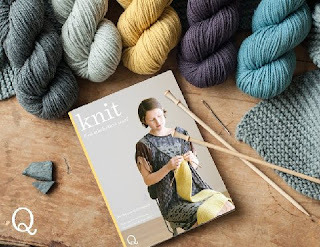 Share the gift of knitting—shop for our new book and kit today. 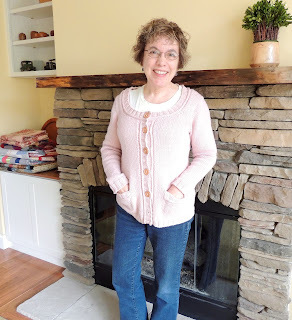 Hi Paula: You are officially the most "well travelled knitter"! My goodness! I've really enjoyed hearing about your trips. I loved all the great tips in this week's show. Your sweater revelation has me studying my knitting and I am certain my row gauge is going to improve as yours did. 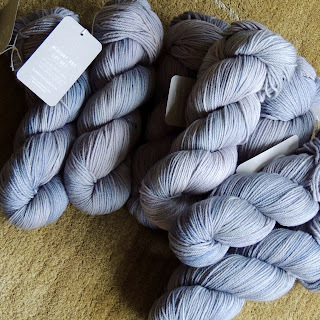 The Phoebe yarn is on my short list and I too was excited that Quince has joined the tonal club. Any suggestions on a sweater pattern? And thanks for the book recommendations. With summer nearly upon us, I am ready for a nice stack to set beside my patio chair with my fresh blackberry lemonade. Your blog is so great - with all the good info I need when following up on the show.